Leading the Karioi Project on all fronts, from behind her laptop to the top of the mountain, Kristel is a trained marine ecologist passionate about sharing her love for nature. 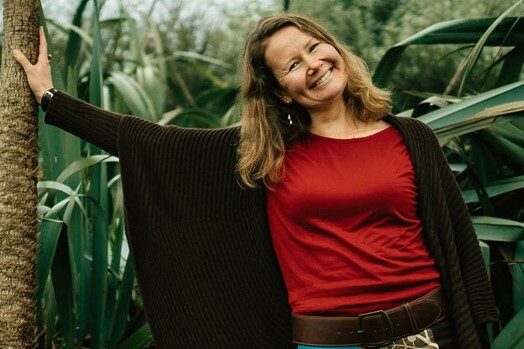 Kristel has taken her experience in biology, conservation and education in Kenya and Samoa to her home in Whaingaroa, where she started A Rocha New Zealand and the Karioi project. Kristel is a keen surfer and active mum who‘s always up for an adventure. Enthusiastic in the outdoors and a gem in the kitchen, skilled communicator and educator Bexie brings her varied skills and passion for community to the project. When she’s not supporting our volunteers to get trapping up the mountain, she’s teaching yoga, walking her dog or hanging out with the people she loves. Nic’s bright smile can be seen all around town, where she meets locals in their own backyards for the backyard programme. Trapping predators is Nic’s forte. Nic left Waitakere to settle in Whaingaroa/Raglan a few years ago and has jumped in boots and all. Her creative, nurturing and generous enthusiasm helps keep us on track. When not catching stoats, Nic is an active mum, enthusiastic photographer, and keen tramper. Ranger Dunc - innovative and passionate - Ranger Dunc loves the maunga about as much as he loves surfing and our magnificent coastline too. Duncan is all about getting the job done. Supporting our amazing team of staff and volunteers to be the best we can be. He is also passionate about education, reducing waste and being a great mentor to our young enterprising students. When he's not on the mountain, Duncan is a pro at glassing surfboards and loves eating - especially pizza and cake! A people person with a big voice and a big heart. Annie’s outdoor instructor background and occupational therapy experience brings a unique perspective to her educational role. She is one of the key drivers behind the Maanaki Ao Earthcare program at Raglan Area School. 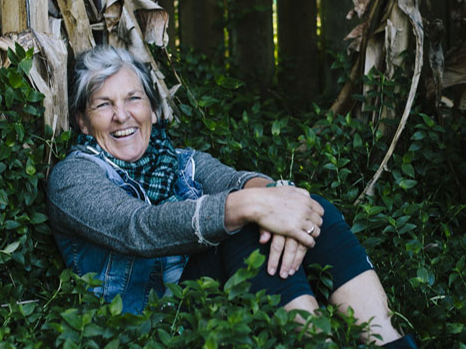 A keen paddle boarder, gardener, and energetic mum, Annie loves to get messy on the job. Anne’s love of nature and children shines through in all she does. She is an experienced outdoor instructor, who loves to help children step out of their comfort zone and try new things; whether it’s caving, canyoning, rock climbing, or just building a hut in the bush, Anne’s patient and warm nature helps even the most timid child blossom. Off the clock Anne is a wizard in the kitchen, a keen surfer and climber, a devoted mom, and she loves singing and playing her piano. Val’s dynamic personality and big “hugs” create a warm welcome to anyone that meets her. Val’s passion for outdoor education started at the age of 8 when on a school trip in Canada, her native country, a black-capped chickadee rested on her hands to eat seeds. This is the kind of outdoor educational experience (and much more), Val has offered to others over the last 20 years! Val is also an avid kayaker, SUPer, hiker and climber and when she’s not travelling around the globe playing and teaching she’s here teaching our Karioi Kids.